One of the most unique boutique hotels in the old Damascus,the first destination for many Arab and Foreign tourists. 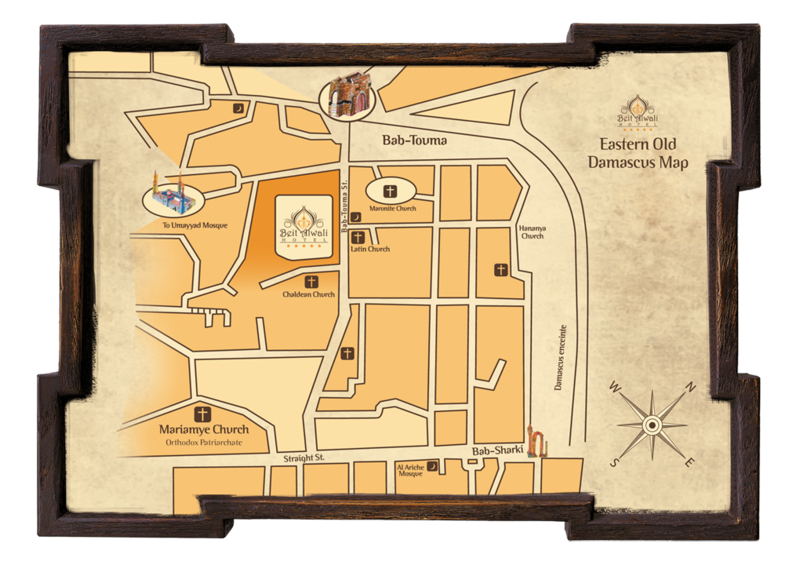 Located in the heart of Old Damascus, within a short walking distance of Bab Touma square. Just 10 minutes' walk to Umayyad mosque and old cover souq and 20 minutes' away from Damascus Airport. Copyright © 2010. Beit Al-Wali. All Rights Reserved.